3 Comments on What is SEO (Search Engine Optimization)? As the title suggests SEO stands for Search Engine Optimization; that means SEO is all about making your website or web pages SEO-friendly so that search engines like Google & Bing able to access your web pages easily. Overall SEO helps to increase the visibility of a website and without optimizing your website for SEO it would be hard to get maximum traffic out of search engines. So we must do at least basic SEO to our websites or blogs so that search engines easily able to access us in a much better way and serve our each and every content to the maximum audience. 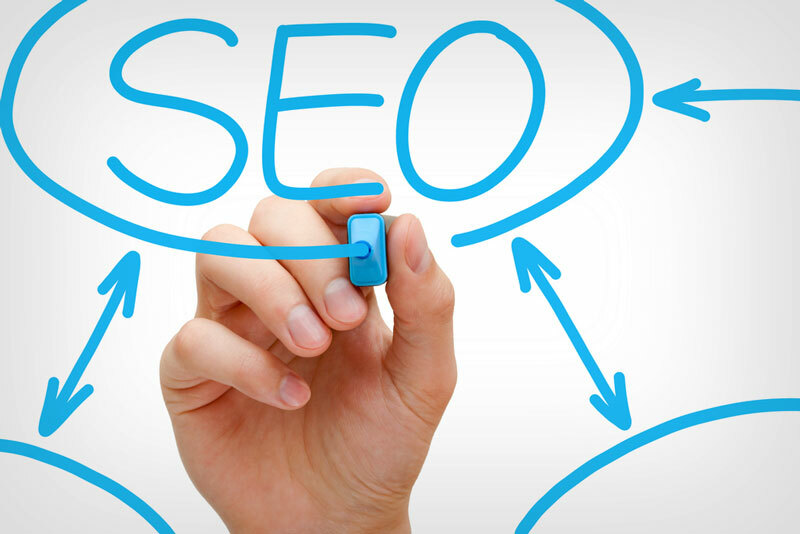 Today SEO is broadly divided into 2 parts at in-page SEO and off-page SEO. In-page SEO is all about optimizing your website structures, meta tags, themes, navigation and internal links however while content writing it also deals with keywords in the title, permalink, post and as many as locations you can put your keywords. Whereas off-page SEO is quite different here it deals with pointing quality external links to your site, social links building, blogging, forum posting, submitting your site to search engines so that search engines able to crawl your website and running ad campaigns. In-page SEO deals with all things related to the existence of your website where you can directly write, edit and publish as per your need. Below is a complete list of in-page SEO techniques. A website’s or blog’s domain name matters a lot when you are looking for instant rank in search engines. Suppose if you are looking for opening a site for sweets shop at Mumbai then MumbaiSweets.com would be a great choice to start upon. Here the great advantage would be that users seeking for sweets in Mumbai will see you first. After choosing a right domain; the site name is another way to cover your keyword. Basically, most of a webmaster choose same as the site name and add few words in the tagline. Like “Mumbai Sweets – Online Sweet Shop”, this way no other business competitor will able to access your authority and visibility on the web. Now we have a platform, to begin with; now here we have to create some content; in easy terms, we have to write a few posts about your business. If possible then writing review and updates about your product is a good idea to engage more visitors to your website. Content is king; quality is queen and your site is your city where you can target as much as customers with your writing skills. Finally, we have to look at the basic structure of websites like H-Tags or Heading Tags (h1, h2, h3, h4, h5, h6), permalink structures and efficiency of your theme for clean and well-written codes. So just look at the basics of these things. H-Tags: Your heading tags are important to tell search engine bots to understand the structure of your individual web pages also it reflects how your content is presented. Permalink Structures: Your permalink structure is also a part of SEO; as permalink contains most of the keywords. Choosing permalink like atulhost.com/%postname% is a better idea to start with. Also, we can have a category inside permalinks as atulhost.com/%category%/%postname% which is a good idea for specific niche based content sites. Finally, what I suggest choosing a nice theme for your website which is optimized for SEO and has many inbuilt functions like a related post, breadcrumbs, ad management and as much as features. Now we come to outside our resources, here can do SEO on our website; this takes a lot of time and sometimes cost too. Followings are few of off-page SEO tips. To get indexed on top, we must get so many backlinks referring to our site so that search engine able to consider us as a reputed site. Backlinks should be organic and never ever opt for backlink services as they are just a waste of money and never gives a positive result. You can get such quality backlinks from search engines, others website, your social media profiles, etc. Now another way of off-page SEO is about optimizing your sites social status. Here we should use all known social sites like Twitter, Facebook and Google Plus also sharing your contents here does a great job by promoting your content on social profiles. Search engine seeks for maximum socially referred pages. The best practices could be with social bookmarking websites which can even crash your server with the flood of quality and geo-targeted visitors traffic on your site. I suggest to use social bookmarking sites like StumbleUpon, Reddit and Delicious with little care and do not misuse such sites otherwise you will be banned in no time. Guest blogging is also a part of getting quality backlinks from the source you want. It is considered the best method of getting quality links to your site. If possible then you can join a bloggers network or group on the social network and ask for bloggers that anyone is interested in guest posts. Here you can write content for them in which you can add your links to the body of content. Another awesome way of getting the links are directory submissions where you can freely submit your site under a category where you site suits to be fit. If you Google it, you will able to find dozens of free directory submission websites. Dmoz is the world’s number one directory submission website. Most of us like to be active in forums where they chat and suggest the best answers to questions. If you are one of them then you can suggest your website’s content link which seems to be the direct answer to that question then you can happily link it with your answers. However, this is the most difficult part because forums are too strict you will be under monitoring, but if you linked a related post then approval is possible in any way. To get the most out from search engines, you must submit your website to Google and Bing manually. I strongly suggest here to not use any automated service for one click all search engine submission because they are just a waste of time nothing else. So manually you can submit your website to Google at Google Webmaster Tools and on Bing at Bing Webmaster Tools. Your site also have a sitemap and it would be like this example.com/sitemap.xml and we have atulhost.com/sitemap.xml for our site. We need to submit it to search engine as there is an option for it. It helps search engine to check what new is coming to your site. It acts like a news feed for your site. If you are using WordPress platform then use Google XML Sitemap plugin to get your sitemap working. This is all about search engine optimization. The best thing we can do to improve our site ranking is just attract more users via quality contents and this is the key to success. You guide search engine optimization in very nice and easiest way Thanks for it. Thanks for your comment Avnish; I hope you love our site. Keep visiting for more updates. Nice Post brother with lots of valuable guide. I really liked the way you are writing and explaining things.